So we reject any path that exits us from the Straight Path even if the one who [calls] to it aims for good and has a good intention. 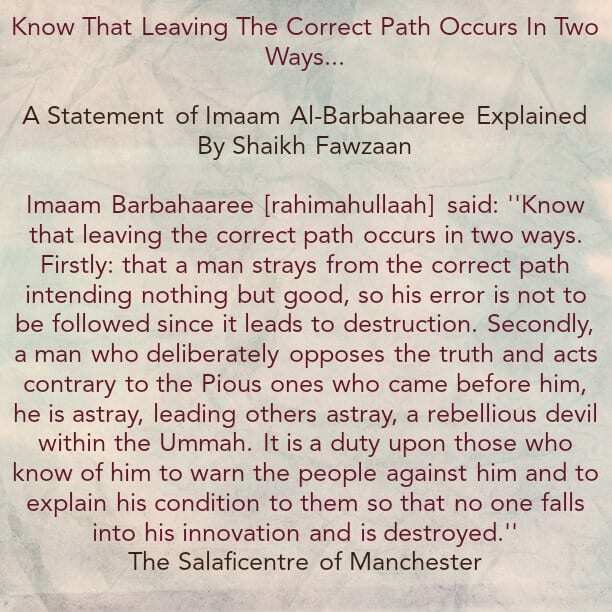 We do not follow him upon that whilst he continues upon his error, eventually leading to destruction; because whoever abandons the correct path in his journey and takes a path of ruin will be destroyed. As For The Second Person: It is the one who intends to leave [the correct path]. He knows the truth and that what he embarks upon is falsehood, but he intends to leave the truth with the intention of misguiding the people. So the intention of the first [person] is to bring about benefit for the people, but he did not follow the correct path. The second [person] intended to misguide the people and to turn them away from the correct path. So this one [i.e. the one who intends misguidance for the people] is a devil, because the devils take the people away from the Straight Path. [Allaah informed us that] Iblees said: [لَأَقْعُدَنَّ لَهُمْ صِرَاطَكَ الْمُسْتَقِيمَ -Surely I will sit in wait against them (human beings) on Your Straight Path]. [7:16] So he intends to turn them away from it [i.e. the straight path] and [direct them] towards the deviated paths. 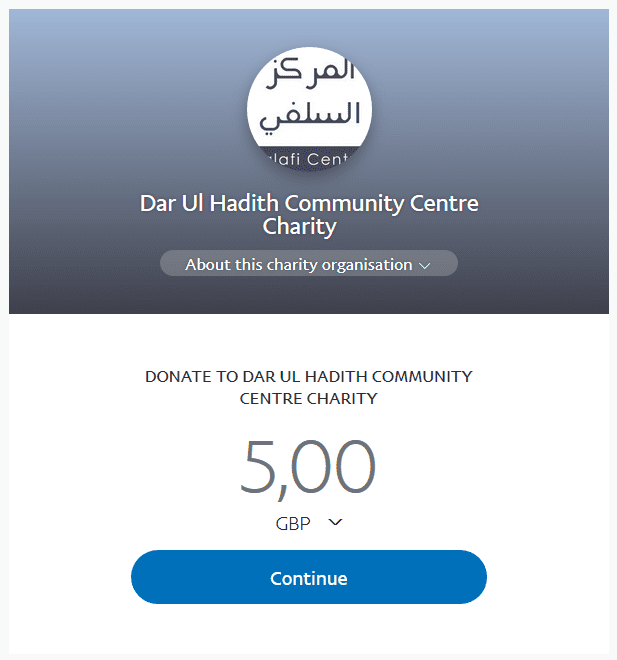 The Prophet [sallal-laahu-alayhi-wasallam] gave us an example when he drew a straight line and drew other lines on its sides, he then said about the straight line: ‘This is the path of Allaah’ and he said about the other lines, ‘These are the other paths, and on each path is a devil calling to it.’ This is a clear example that is in agreement to that which the Shaikh [i.e. Imaam Barbahaaree (rahimahullaah)] has mentioned here. So the one who takes the people away from the Straight Path [and direct them] to the innovated paths of the innovators is not one who intends good for them; rather he intends destruction for them. He is a devil, be it that he is a devil from amongst the Jinn or the People. It is obligated on us to be more careful of this [second ] than the first one [i.e. the person who intends good but was mistaken]; because this one [i.e. the intentionally deviated one] intends to misguide the people. And regarding the statement of Imaam Barbahaaree: ‘He is astray, leading others astray, a rebellious devil.’ Shaikh Saaleh Al-Fawzaan commented on the above statement, saying: He is misguided and misguiding others. He is a rebellious devil, a rebel intending to turn the people from the Straight Path. So any person comes to us and wants us to leave this straight path, then firstly we reject his statement. Secondly, we clarify and warn the people against him and we do not keep quiet about him; because if we keep quiet about him, the people will be deceived by him, especially if he is an eloquent person, [with] good speech, [skillful] writing and is educated; for indeed the people will be deceived by him and will say, ”this one is competent, this one is from the thinkers,” as is taking place today.